Home News OPPO Smartphones OPPO F9 to Land in PH on August 15! OPPO F9 to Land in PH on August 15! This is not a drill! 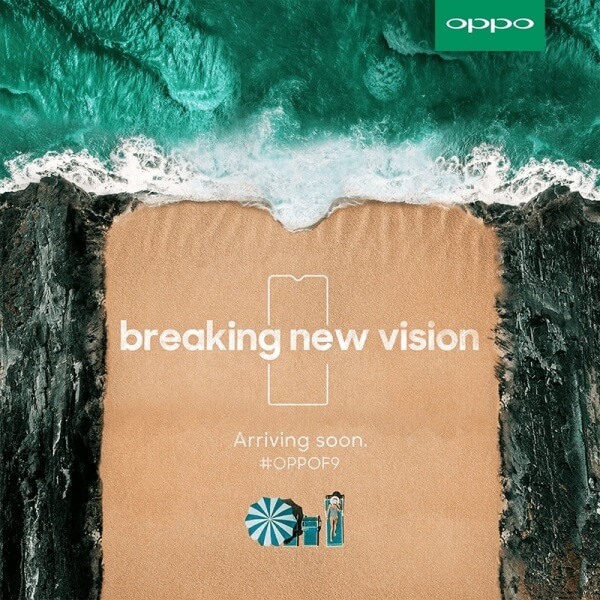 After waves of teasers online, OPPO Philippines has finally announced the arrival of the OPPO F9 on August 15. In case you missed it, the F9 smartphone family comes with two members: the regular variant and the F9 Pro. However, it is possible that the F9 will land first in the local shores before the Pro model. As a recap, OPPO equips its new smartphone line with a trendy design. Its back panel flashes a gradient color design ranging from red through pink to violet. Its front, however, is dominated by an almost bezel-less screen that sports a “waterdrop” display. Obviously, it boasts a smaller notch than the F7, which might be limited for its selfie camera. See Also: OPPO F9 to Launch on August 15; F9 Pro Specs Leaked! Its teaser photos also show that the F9 is mounted with dual rear cameras. On the other hand, one of its key specs is its battery. OPPO packs the F9 with its VOOC Fast Charge technology, which is said to provide 2 hours of talk time with just 5 minutes of charge. We’ll update you as soon as the F9 arrives in the country. Who’s excited? Share your thoughts with us!